Explore and download the free PowerPoint templates below to create your own professional presentations. 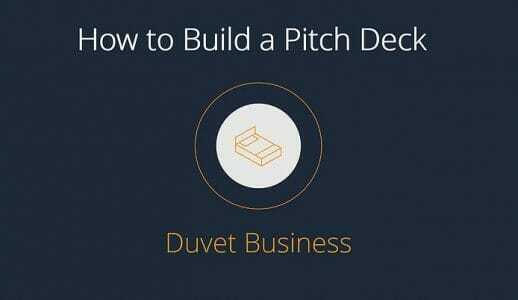 Investment Pitch Deck Template This PPT template can be used to create your own pitch for raising capital or present to investors to tell your story. Investment Banking Pitchbook Template The template is divided into five main sections: (I) Company Overview, (II) Industry Overview, (III) Valuation, (IV) Transaction Opportunities and (V) Team Overview. 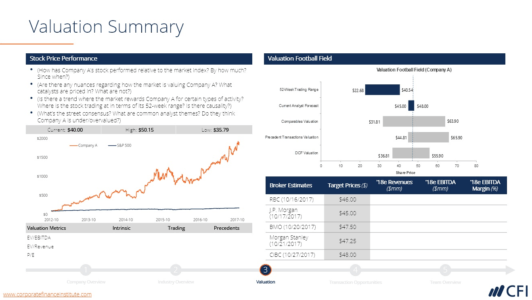 IB Pitchbook – Company Overview The company overview lays out the company’s valuation, their forward-looking strategy, and key corporate finance transactions, and a summary of the most attractive parts of their business. 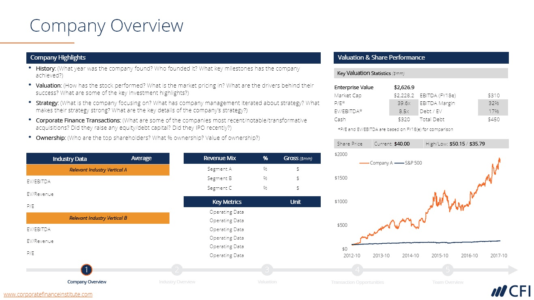 IB Pitchbook – Business Model, Forecast, Ownership This template outlines a company's business model, operating forecast, and shareholder ownership. IB Pitchbook – Liquidity Analysis The liquidity analysis gives us insight into a company's capacity to pursue an M&A transaction. IB Pitchbook – Competitive Environment The competitive analysis allows company to benchmark itself against its competitors through displaying comparable valuations, finding similarities in strategy, and comparing lines of business. IB Pitchbook – Industry Trends and Statistics This template provides management teams with ideas that make sense given a company's existing competitive environment and key industry trends. IB Pitchbook – Corporate Finance Activity This analysis of precedent corporate finance activity of major industry competitors helps you determine the type of transaction that may be most appropriate for the company you are pitching to. IB Pitchbook – Historical Share Price Performance This template provides you with some key valuation drivers and different methods of visualizing share prices in a pitchbook. IB Pitchbook – Valuation Analysis This valuation analysis will help a company maximizes its gains from an M&A transaction. IB Pitchbook – Comparables Analysis This comparables analysis allows us to assess a company’s value relative to its publicly traded peers. IB Pitchbook – Precedent Transactions Analysis Precedent Transactions Analysis assesses a company’s valuation using the prices paid by acquirers of companies that are similar to the client company. Investment Teaser Template This investment teaser template will help you summarize a potential sales process and highlight the unique selling points of the company.